These days, it's quite difficult to find a mattress that has a double-sided design. It's also very hard to find a luxury firm, high quality mattress at a mid-price point. 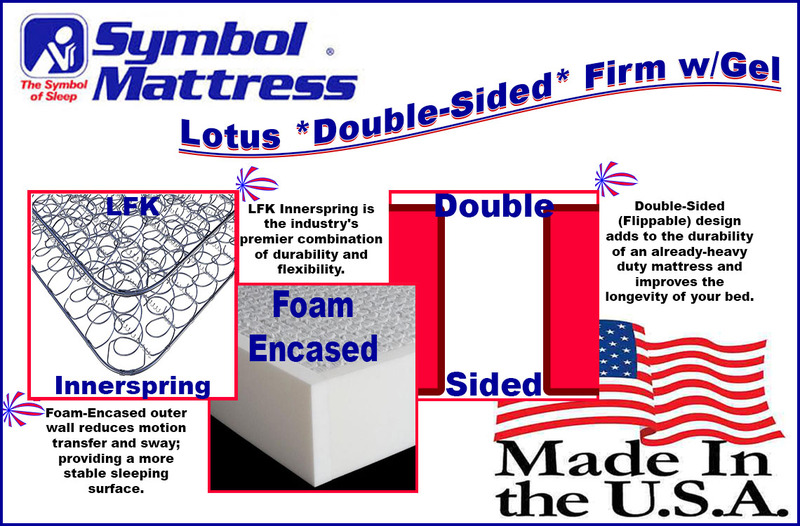 Symbol has managed to offer both of those things in the "Double-Sided Lotus Firm with Gel". When a mattress prematurely fails, it's oftentimes due to its foam layers dipping into its spring unit. With this mattress, that phenomenon won't be an issue, as it has an insulator pad on each of its sides - just above the coil unit. The LFK Offset Innerspring Coil Unit is also considered to be quite durable. When selecting this mattress, you're choosing something that will outlive many other options. 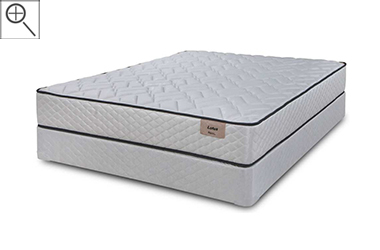 This mattress also features a Gel Lumbar Pad, Convoluted Extra Firm R65 Foam and Foam Encased outer edges. It is made available in both standard and odd sizes.